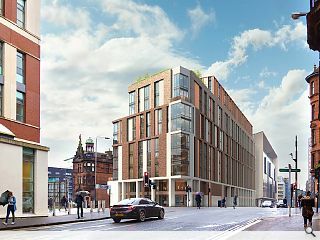 Structured House Group have published the first visualisations of their planned build to rent project at the junction of High Street and George Street, Glasgow. Merchant Residential has been designed by ADF Architects to appeal to entrepreneurs working in the city through provision of co-working and start-up office space in addition to new homes and a cafe. Over 200 apartments will be spread over 10 floors accessible from a communal lounge area on the ground floor, with landscaped gardens completing the picture. 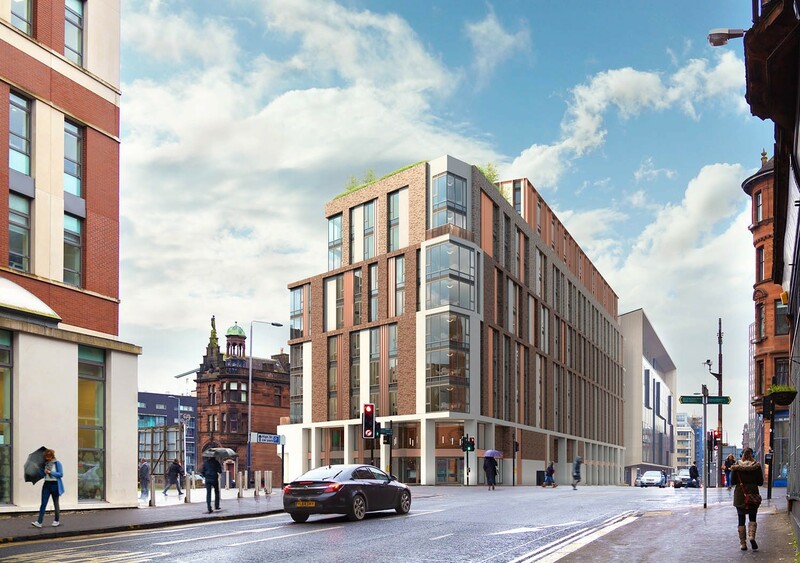 Crucially the project will incorporate the Old College Bar, which had been earmarked for demolition under previous plans for student housing on the same site. Structured House founder Craig Inglis said: "We welcomed the new High Street Strategy and believe our plans will contribute positively to the reinvigoration of the site. "We don't just want to build, we want to build a community within our building for our residents. We plan to breathe new life into our site which is in need of regeneration and as you turn from High Street to George Street, our new design pays homage to the heritage of the area and links with new buildings such as the Technology and Innovation Centre (TIC)." A public event will take place tomorrow from 16:00 until 20:00 at Merchant Square during which the project backers will showcase their plans. I don't mind the mass, but the elevation treatment is truly horrific. It looks like someone has thrown up after consuming too much at an 'all-you-can-eat' building materials buffet. I preferred the previous proposal.